This is the blog entry for Epi106 of Succotash, the Comedy Podcast Podcast, and this is an edition of Succotash Chats, for those of you keeping track. 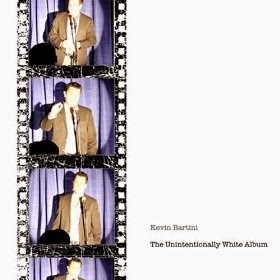 This edition features an interview with our special guest, comedian and podcaster Kevin Bartini. As a comedian, Kevin is also the warmup guy for The Nightly Show with Larry Wilmore, which stepped into the space vacated by The Colbert Report over on Comedy Central. Larry is killing it in that spot with his show, and Kevin is killing it, too, whipping the audience into a lather before the cameras come on. In addition, he has a new comedy CD out — The Unintentionally While Album — which I’ll play a track from coming up. AND he’s the guy who kicked off the campaign to get the street in New York where comic great George Carlin grew up named after him, which we talk about in our chat. Later on in the show we dip briefly into the Tweetsack and we feature our Burst O’ Durst segment with comedian and social commentator Will Durst further along in the show as well, talking about Hillary Clinton's too-many-phones email woes. Also, this episode is sponsored by Henderson's High Waister Pants. This week, for both Splitsider and Huffington Post Entertainment, I’m reviewing Gilbert Gottfriend’s Amazing Colossal Podcast with Gilbert’s guest Dan Harmon, the creator of TV’s Community and Rick & Morty. 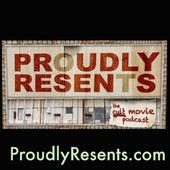 In the course of that review I mention that I’m also listening to Matt Gourley’s I Was There Too with his guest Jenette Goldstein from Aliens and Terminator 2, and also the Dark Angels & Pretty Freaks podcast. Not too much more for me to add from the world of podcasting until we get into the Tweetsack a little later. But I did want to mention that, this past week, I started teaching a beginner level improv class at my day job and it’s turning out to be pretty fun. We do it one night a week for a couple of hours after work. And I’m showing how they can use the precepts and techniques of improv to improve presentation and brainstorming skills. It’s the topic of a new book I’ve SLOWLY been trying to pull together. And I mention it because if you work for a company that you think might benefit from these sorts of techniques, I’m available to speak and teach. It’s especially easy if your company is located in the San Francisco Bay Area, but I can travel as well. If you’re interested in finding out more, you can email me at marc@SuccotashShow.com. That's about it. Short blog this week. So let me use this extra space to ask you to jump up to our space on iTunes in the podcast department and please rate and review us. A tasty review from you goes a long way to letting friends and strangers know that Succotash is out there, just waiting for them to enjoy all of our podcast goodness. And we'd really appreciate it! I hate to do this right out of the gate, but I have to start the show off with an apology to our network and the affiliates. And, of course, you – the listener. This edition is meant to be an episode of Succotash Clips, wherein we feature clips, just clip, and nothing but clips. But I have a bit of a chat to toss in, too. It’s just a smidge of a chat, really. Friend of the show, past guest, fellow podcaster, and comedian Paul Mecurio called me up and said he was heading for the San Francisco Punchline this week (March 4-7) and could we chat up his appearance. I don’t know that we’ve got that kind of impact on an audience, but I do know that there are Succotashians in the Bay Area so I agreed and we did it. It was via Skype from New York and the only worse than the quality of a Skype call is a Skype call where one of the people has laryngitis. 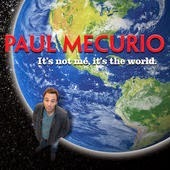 Paul also has a new comedy CD out, called It’s Not Me, It’s The World, so we’ll hear a track off of that as well. But after that, I SWEAR the rest of the show is clips. For reals. Except of a double dose of our Burst O’ Durst segment with comedian and social commentator Will Durst. Oh, and a Henderson’s Pants ad. And the Tweetsack. But the rest? All clips. The delay for this ‘sode of Succotash making it to your ears was because I was suffering a miserable bout of laryngitis. Every other ailment in the world wouldn’t matter so, of course, a podcaster gets the one thing that keeps him off mic — no voice. You’ll get to hear how that sounded though, because I barely had my voice back last week when I interview Paul Mercurio. 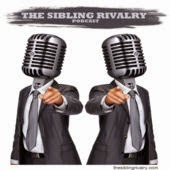 Here’s what’s in the bushel basket o’ clippage we have in store for this show: Pass The Gravy, Proudly Resents, Sibling Rivalry, Soda Press, The Geep And Gam Show, and This Damn World. In addition, we unveil our NEW segment this week! It’s the brainchild of our associate producer Tyson Saner and we call it the Podcast Graveyard! When the time is right, we’ll feature a clip from a podcast that is no longer with us. Kicking off this show’s official rasher of clips with a show that requested we give them a listen. 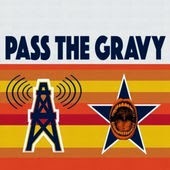 So Tyson wandered out into the podcast wilderness and brought back a sample of Pass The Gravy, with hosts Alex Middleton - I assume no relation to England’s Princess Kate Middleton – and his partner in crime Curtis Chaffin, also – it is assumed - not related to Kate Middleton. On their website they claim to solve the world’s problems one episode at a time, so it’s nice to know someone is taking care of those matters. They also claim that it is “the podcast nobody is listening to and everyone is talking about”. In this dollop from Pass The Gravy – and, really, what could be more natural than gravy and succotash – the hosts get into dolphin love. Deep into it. 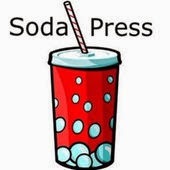 We started getting some very kind retweets and mentions from a new podcast out there called Soda Press, hosted by a guy named Andy Thomas. And then he went and gave us a big ol’ shoutout at the top of a recent episode. So the least we can do is clip him for you. Soda Press episodes are pretty short, and feature Andy monologing about a given topic which spins off into related microrants. We have a snippet of him going off about gross gym wipedown towels. 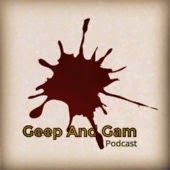 Hosts Geep and Gam run their podcast out of…well, I don’t where the heck they’re from. But they asked us via Twitter if we’ve give’em a listen and clip ‘em and that’s what our stalwart associate producer Tyson Saner has done. In this slice, the show is playing host to two other podcast hosts, Diamond Dave and Aaron Corbett of Canada’s The Cool Story Show. 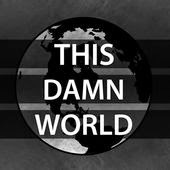 Another show that reached out via Twitter and asked if we’d give ‘em a sniff is the This Damn World podcast, hosted by Dom and Jenn. iTunes describes the show as “a longform conversational podcast” with topics ranging from news, life, and all around creative. The clip we have is from last month, snipped by Tyson out of an episode called “The One Where We Get Sweaty”. Okie dokie. Succotash Clips with just a side of chat is kaputski. If you’re in the San Francisco area, remember to catch our friend Paul Mecurio this weekend, that’s March 4th through the 7th, at the Punchline. 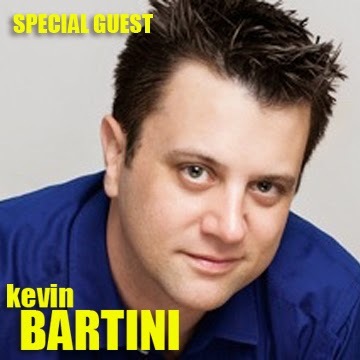 We’ll be back soon with an episode of Succotash Chats, where I’ll be speaking with comedian/podcaster and warmup guy for The Nightly Show, Kevin Bartini. See you then. In the meantime, please remember to pass the Succotash!